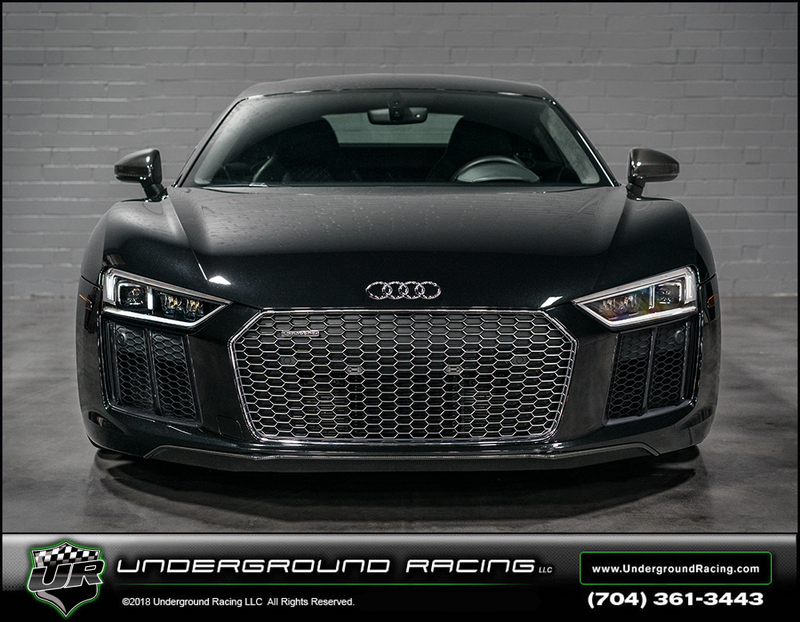 Thank you Ross for choosing Underground Racing to Twin Turbo this 2017 Audi R8 plus. This is the 3rd car we have built for Ross. 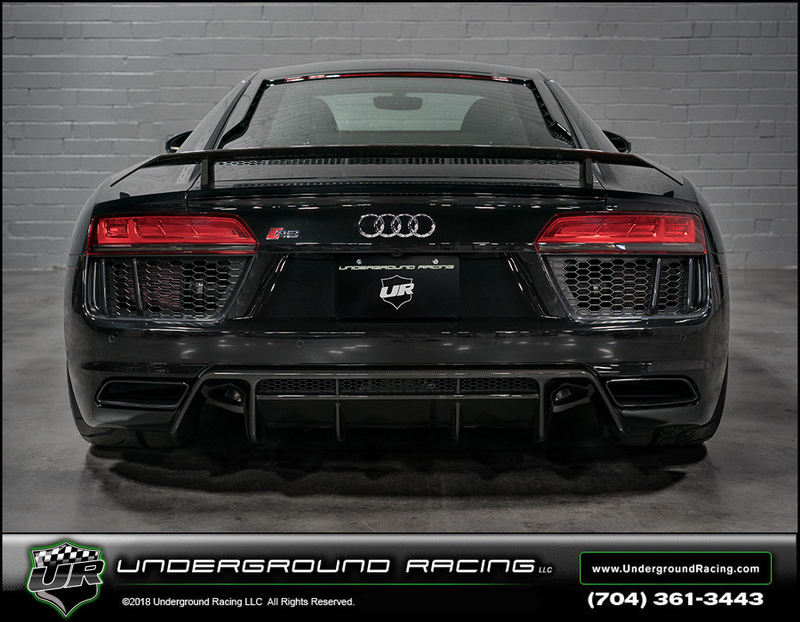 This R8 has our Stage 3 (plus) build with CNC ported race heads that makes over 1,150 whp on 93 octane pump gas and 1,350+ whp on MS109 race gas. This build has a fully built engine with billet connecting rods, pistons, our upgraded clutch, billet hub and billet clutch cages. As always the build includes the JRR MoTeC M1 ECU with boost by gear. The TCU is custom tuned by KC. The stage 3 (plus) build also comes with a 2 year / 24,000 mile warranty. Be on the look out for videos of this beast on the streets of California. 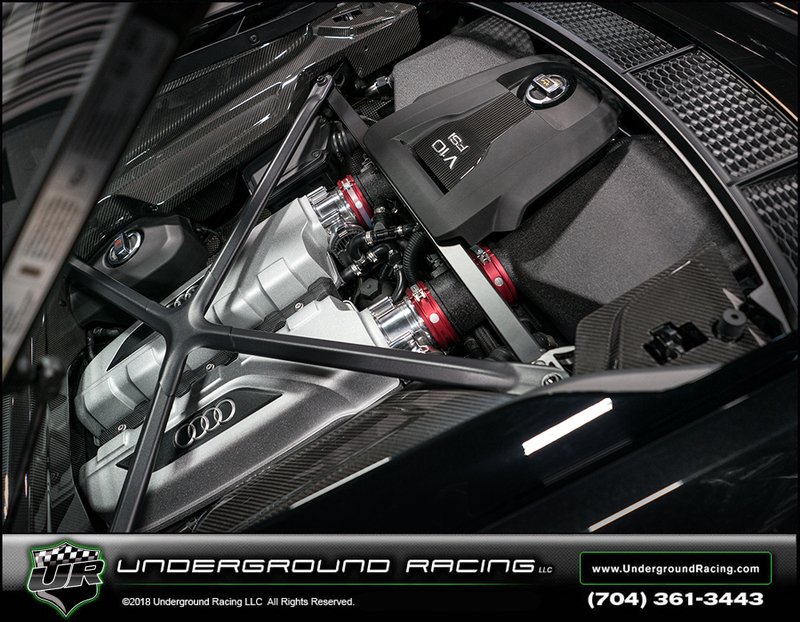 If anyone is interested in a system similar to this for your Lamborghini or needs help locating a car for a build, please don't hesitate to call or email anytime.